Located on the first level of Vivo City at Harbour Front (#01-135/137), Principles is an up-market boutique that caters to working women, offering stylish wear for both day and night functions. 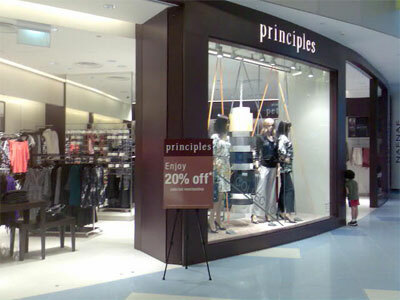 During this period, Principles is giving a 20% discount on selected apparels. So visit Principles today to enjoy this offer!